Siena, 이탈리아의 호텔 아이 투피 | 호스텔월드에서 예약하세요. Hotel Ai Tufi was premiered back 1980 and it is the perfect spots to discover and enjoy Siena and Italy. Guests are welcomed into a pleasant, functional hotel which offers many comforts including a lovely private garden and outdoor spaces and a convenient free car park. The friendly reception staff are always on hand, 24 hours a day to provide useful tourist information and deal with any requests guests might have . To complete the list of services on offer is an Internet access point in the hall and Wi-Fi access in all the rooms. 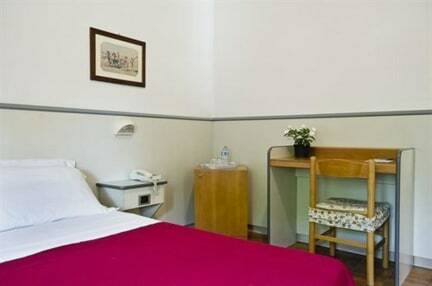 Hotel Ai Tufi, is situated in a 19th century, completely restructured farmhouse nestled in the Siena countryside, 800 metres from the city walls and Porti Tufi. 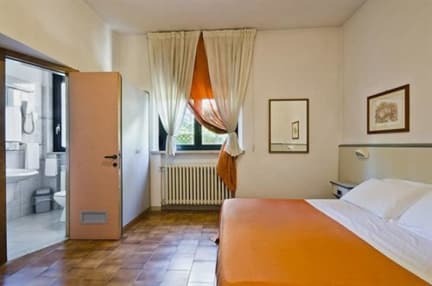 The hotel's convenient location guarantees guests easy access to the city of Siena and the surrounding medieval villages, the thermal spas in Rapolano and all the Chianti Siena area. Make yourself at home in one of the 17 air-conditioned rooms featuring minibars and flat-screen televisions. Complimentary wireless Internet access is available to keep you connected. Bathrooms have showers and complimentary toiletries. Conveniences include complimentary newspapers, and both cribs/infant beds (surcharge) and rollaway/extra beds (surcharge) are available on request.Featured amenities include express check-in, express check-out, and luggage storage. A roundtrip airport shuttle is provided for a surcharge (available 24 hours), and free self parking is available onsite.Take in the views from a garden and make use of amenities such as complimentary wireless Internet access and concierge services.Quench your thirst with your favorite drink at a bar/lounge. Check in from 12:30 to 23:00 .